Most of the diets have its own restrictions and the paleo diet is not exclusion from that. The paleo diet is based on the principle of eating foods that our bodies were designed to eat thousands of years ago. As you already know, with the new mass food production process, the food loses its health benefits. And as our bodies are not designed to process all that foods, it leads us to obesity and health issues. The paleo diet foods avoid list contains foods that were processed or refined and have no or limited benefits to our bodies and health overall. Below I will equip you not only with the paleo diet food avoid list but will give you a guideline on how to substitute some foods from the avoid list (1,2). What about whole grains that we have been advertised so much recently? Generally speaking, whole grains include more parts of the grain compared with the non-whole grains (like white bread or pasta). However, both whole grains and non-whole grains should be considered as processed foods as they all went through the factory. And that being said, they do not provide us with any health benefits. Surprisingly but grains and gluten cause a lot of digestive issues for a lot of people. Soy may disrupt normal endocrine function. Moreover, a lot of foods that contain gluten, grains or soy in it are highly processed. Also, most of the gluten, grain and soy products contain sugar in it. Corn, soybean, canola and cottonseed oils are high in polyunsaturated fats. What it means is that these fats are unstable, especially during cooking. Consumption of the ‘damaged’ fats may cause the cellular damage. Blood sugar plays a role in everything from hormones to cholesterol and energy level. Added sugars, refined foods, and sweets will break this balance. Dairy was one of the products that I had a hard time to give up. We have been taught that dairy is the only source of calcium and therefore its consumption is necessary and healthy. We were also educated that in order for us to be healthy, we should lean towards low-fat or fat-free dairy. Did you know that most of the skimmed milk dairy come fortified with vitamin A, D, and K2? Generally, we need these vitamins for proper growth, strong immune system, and bone density. But did you know that these vitamins can be absorbed only if consumed with fat? So drinking skimmed dairy fortified with those vitamins does not give you any health benefits, it is similar to drink plain water. On the other hand, full-fat straight-from-the-farm milk naturally contains all those vitamins. So practically speaking, if you have access to that kind of milk (from grass-fed cows, of course) you are more than welcome to have it in your diet. If you do not have access to the grass-fed cow milk and milk products, how will you get enough calcium? Did you know that dark green leafy vegetables, sesame seeds and sardines (with bones in) are a great source of calcium? On top of that, these foods are rich in magnesium that is needed to absorb calcium. What about the legumes? Why do they need to be excluded? First of all, let us understand what legumes truly are. We have been taught that legumes are either a great source of protein and/or vegetables. However, nutritionally legumes contain more carbs than protein, so more likely should be treated more like grains. They also are not a significant source of vitamins and minerals compared with vegetables. Therefore, as the legumes do not contain much of the valuable nutrients, they should be either eliminated or limited in consumption. As the legumes are high in carbs, its consumption may cause digestive distress, gas and bloating. If you would like to see the best result, eliminate alcohol for at least 8 weeks. The reason for that is that alcohol actually makes your body store fat. So if your primary goal is to lose weight, then exclude it. For general health, 1 drink per week should not be a problem. However, as said, it is highly recommended to completely exclude alcohol from your diet. Generally, it is recommended to limit yourself to 1 cup of black coffee a day (no sweeteners, no dairy). If you load yourself with coffee throughout the day, there might be other problems than just your addiction to it. It might be that you have not enough sleep or that you deal with a lot of stress. Try to eliminate or decrease those two problems and see how you feel. Another reason you might want to have more and more coffee is that you are hungry in between the meals. Adjust your diet based on the paleo diet principles, increase protein and green vegetable intake and see what happens. As you can see, the paleo diet avoid food list is not that big. Of course, it contains the foods that you probably got used to eating unlimited and cannot imagine your life or food plate without it. However, once you start the paleo diet there are plenty substitutes you could use to fill up your plate. And the best part, they are delicious and healthy. As I have mentioned before the paleo diet provides you with the guidance for your healthy lifestyle. However, you are in control of your body. Listen to your body and adjust your diet accordingly. 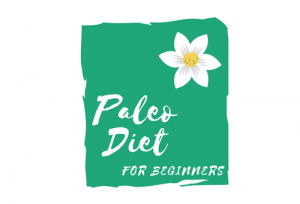 The Paleo Diet Basics Paleo diet avoid list, Paleo diet foods avoid list, The paleo diet avoid list substitutes, The Paleo Diet Foods Avoid List, The paleo diet foods to avoid. permalink. Thank you for a great article which I really enjoyed and found it educational. I loved your lists, this made it very easy for to understand what I can use instead of what I have been using all my life. I do have a lot of digestive issues so I am definitely going to substitute some of the bad things with what you recommend. I have book marked your site and will be visiting again… keep up the good work! Absolutely, give it a try at least 4 weeks to see improvements in the digestive system. I can say, that I started to feel the difference in the second week. Let me know if you have questions regarding the paleo diet and I will be very happy to guide you through the diet. Hi Anna, very informative article, really learned a lot. I didn’t realize that all grains weren’t considered paleo because they go through a factory. Is grain-free granola something that is hard to find? I’ll be honest, I’ve always thought that granola was a grain haha! I actually try to eat this way most of the time, I definitely prefer whole, unprocessed, natural foods. But I love cheese though, that would be tough to give up! Thank you for stopping by and reviewing my post. You can actually make granola bars at home out of seeds and dry fruits. I will be posting the recipe very soon. You, probably, can find prepared one at the health store. But it is easier and cheaper to do at home. I am a cheese lover myself. Dairy was something that was really hard for me to give up. However, after 4 weeks of the strict paleo diet, I actually stopped craving dairy. Now and then I can eat a spoon of full-fat yogurt that I make myself but not that often anymore. And again the paleo diet is a guidance. Once you achieve your health goals, you can slowly introduce some of the foods back and see how your body react. Great list of alternatives for the Paleo diet! As an alternative to soda, I also suggest kombucha or water kefir. The new favorite Paleo flour is cassava flour. It is a great substitute for wheat flour. I am not a big fan of cassava flour, as it is a little bit starchy on my taste. But yes, cassava can be used as a wheat flour substitute. Kombucha is a great substitute for soda for sure. Thank you for mentioning it. I never knew alcohol actually MAKES your body store fat. Why is this – I am really fascinated by this point? I tend not to eat too much sugary stuffs and came here to find a finite list of must-haves to keep a really good and healthy diet. I ain’t getting any younger so I can’t take for granted my next takeaway put on excess weight quite quickly! 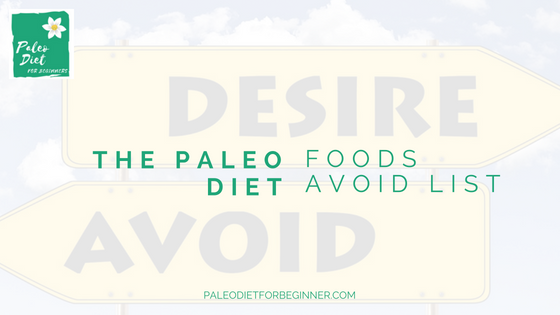 Amazing post and I am now completely fascinated by the The Paleo Diet Foods to Avoid List. I have book marked you page, in case what I buy tastes really bad haha, and will come back for new suggestions. The problem with alcohol is that once it is in your body it is the first to be burned. What it means is that instead of fat your body will have to burn it first. It does not stop the weight loss but it will definitely postpone it. Absolutely, feel free to leave your comments, if you have more questions regarding this post and I will be more than happy to answer them. I have to agree with you on skipping out on the dairy. It just fattens you up. Just because you are on a diet does not mean you can wiggle around it by drinking milk and eating cheese. I do not eat or drink much dairy to begin with, so I do not have the problem of over consuming it. I do have a question though. I am going to have a hard time giving up coffee. The caffeine gets me up in the morning. I have heard that tea works just as well. Would caffeinated tea be fine or do I have to do away with caffeine entirely? I look forward to hearing your answer. I would say that the problem with the dairy is that we do not have access to the quality one (full fat from a grass-fed milk). If you do have access to that kind of dairy, there is no problem of having it. I have good news for you 🙂 You do not have to give up coffee at all. It is OK to have up to 2 cups of coffee a day. However, if you would like to go with the strict Paleo then ordinary black or green tea (with no sugar or sweeteners, of course) will work just fine as well. Let me know if you have more questions and I will be more than happy to help you out! This is my first time hearing about a paleo diet. I found your article very informative. Kind of trying to figure out what legumes are and what paleo actually means. What are your thoughts on the recent studies saying coconut oil isn’t good for you? Is it still healthy to cook with? 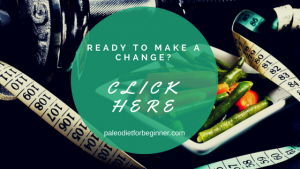 You can learn a little bit more about what is the paleo diet about over here. Legumes are beans of all kinds, including soya beans. As far as I know, there are no reliable studies showing that coconut oil is not good for you. Unrefined virgin coconut oil considers as a healthy fat because the processing of the oil stops after the coconuts are processed at low temperatures to extract oil. For example, canola oil is getting chemically bleached and deodorized during the process of production, which does not sound. very beneficial for your health. Please let me know if I answered all your questions.